Commonly known just as PVC doors, the uPVC door has great attributes such as its Security, Durability, Effective Insulation along with having a large selection of high quality of Design. We will endeavour to detail the benefits of a uPVC door for your home, helping you make an informed decision. uPVC doors are made up of unplasticised Polyvinyl Chloride PVC, a substrate that is extremely strong and durable. uPVC front doors are therefore, extremely hard to break, ensuring your home has far more protection from criminals, along with the elements. This material component in the door is resistant to rot and rust, and will not warp or have any deterioration over time, which can often be a problem with other doors. uPVC is a reasonably priced material, compared to wood or aluminium. They are also far more resistant to fire; making them a much safer option for households. uPVC doors do not cause or assist in the development of a fire, and are actually self-extinguishing. For best performance and added security, a uPVC door should have thick reinforced UPVC panels along with 63mm or 70mm top quality internal glazed system with toughened safety glass. uPVC doors and windows are a great choice for insulating your home. Aside from just keeping heat in and draughts out, uPVC has the ability to reduce noise, especially for homeowners living on busy roads. One reason for this is that they are designed to fit exactly into the frame of your door, which eliminates the space or crevices. Potentially, homeowners can avail of savings up to 30% of their domestic heating costs. Installation of your uPVC doors and windows minimises the loss of heat directly from your home. They will not allow in draughts during the windy, cold months and are resistant to damp. Similarly, by eliminating condensation it stops the possibility of mould forming. With the make-up of uPVC doors, outlined above, it means they can withstand the weather conditions that we typically experience in Ireland. 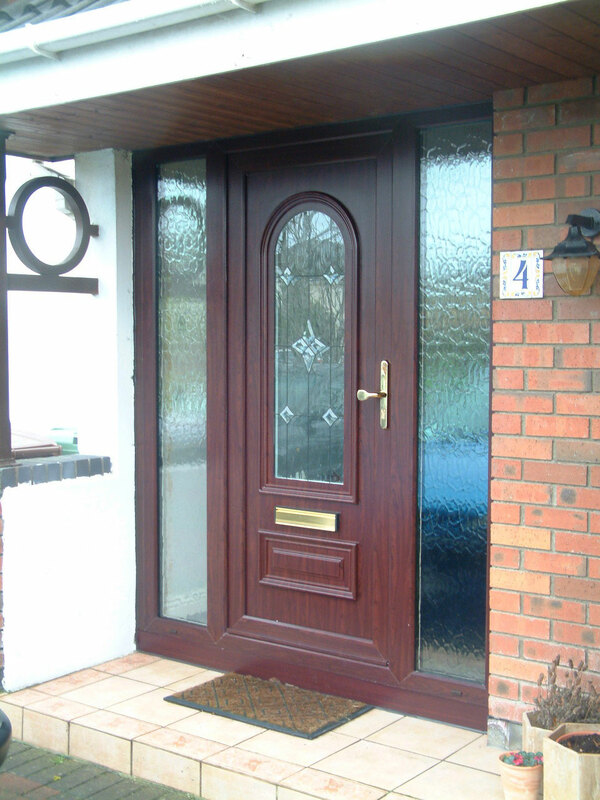 uPVC doors are storm proof and can be sealed ensuring they are water tight to prevent access into the home. They also have a low maintenance requirement, giving the owner little to worry about over the years. A great advantage of uPVC front doors is that there is a very large selection of designs to choose from, which will compliment your home. Choose the minimalist, flat panel design which is a great option for people on a budget but want a high quality, durable door. Alternatively, there are many designs and styles which can be customised to form your bespoke door.Along with front doors, uPVC is excellent for patio doors as it allows in natural sunlight which can also save you on your energy bills on sunny days. All in all, the uPVC options being so vast and wide-ranged afford the customer with superb choices. With its low maintenance and secure offerings, coupled with its durability and energy savings – the uPVC door has become such a popular choice among homeowners.